The husband and I suited up a few weekends ago for a cold morning trail run. It was the weekend of the Lawrence Farmer’s Market Holiday Fair, so we stopped by to check it out while we gave the earth a little more time to warm up. As we wandered into a booth, the artist looks at us and says “looks like you guys either just got done running or are on your way to run.” That was the first time someone who didn’t know me identified me as a runner. And I realized…in that moment…it was because I AM a runner. I have officially been running for 6 years. That’s right….6! Most of the time I lose track until I do the math in my head and every year around this time the number takes me by surprise. It’s been a long journey. A hard journey. An inspiring journey. And certainly not a journey I ever thought I would take. Along the way, I’ve learned a lot and grown a lot, and I’m not sure I would have made it through everything if I didn’t have the streets and the trails and my own two feet as an outlet. I have run distances from 3 miles to 13.1 miles. On some days a 3 miler can be just as difficult as those 13 miles were. I learned 13 miles is really far and there are miles of that run I still, to this day, don’t remember. I also learned during those miles that you can’t give up. Out in the middle of 13 miles, giving up just isn’t an option. I learned no run is ever the same. And only about 1 out of every 7 is a good run. The other 6 are runs with aches or a cramp or something I’m have to figure out. I have run in the rain, snow, sub-zero temps, temperatures well over 90 and in the dark. I’ll take running in the winter any day. I have slipped on ice and fallen on my a** and tripped during a race and split my knee open. 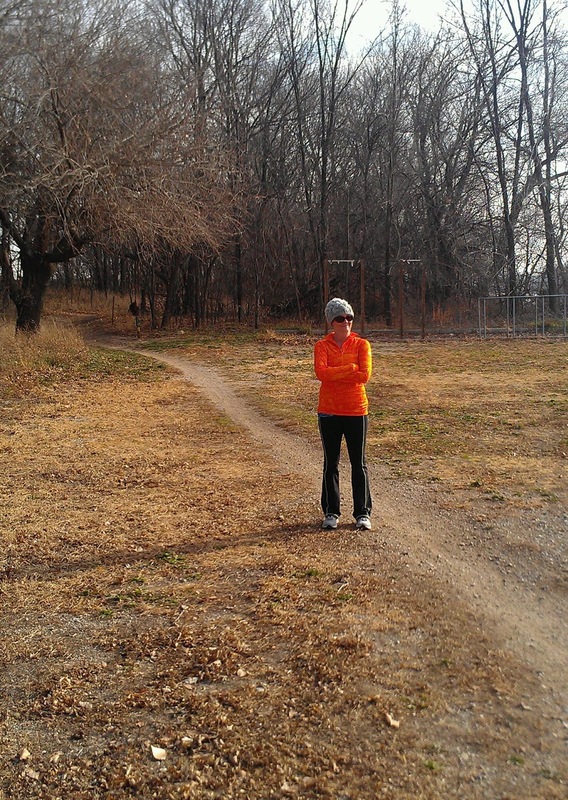 In both instances I learned how to get up…NOT cry…and make it to the end of the run. I have run with anger and hate and sadness. Friends have died and friends have disappeared along the way. I have run through both. I learned how to run on trails and discovered what I do when I encounter a snake. I jump…high. And scream like a girl. I have learned one of the hardest things to do is stay motivated. The couch always looks like the better option. But I know now it’s not…and the feeling of being done with a run as opposed to regretting I didn’t run is the better feeling. I learned new shoes are the best thing in the world. So are new running clothes. I learned I love being part of the running community. They take you in regardless of your experience and cheer for you at the finish lines even if they finished well ahead of you. The best part of my adventure came this year when I found two unlikely and unexpected cohorts in crime. One motivates me online (you know who you are D) and the other from my own house. I may not run with either of them often or at all…but I love they have joined my insane love/hate relationship with running. Here’s to a great new year of running in 2013!